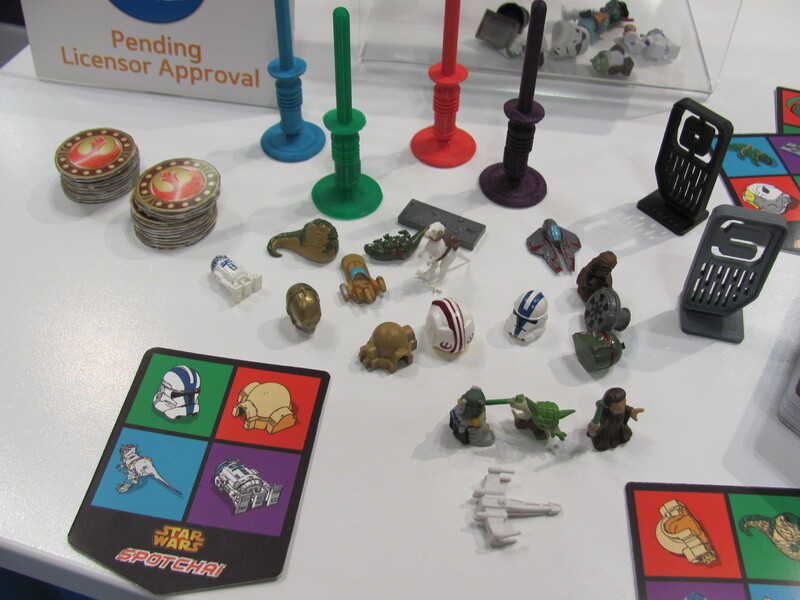 With licenses for Disney, Dr. Suess, Marvel, DC, TMNT, and Star Wars, Wonder Forge had on display 13 new games for 2014. 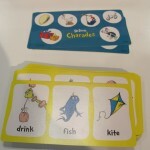 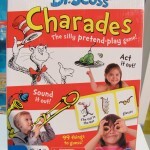 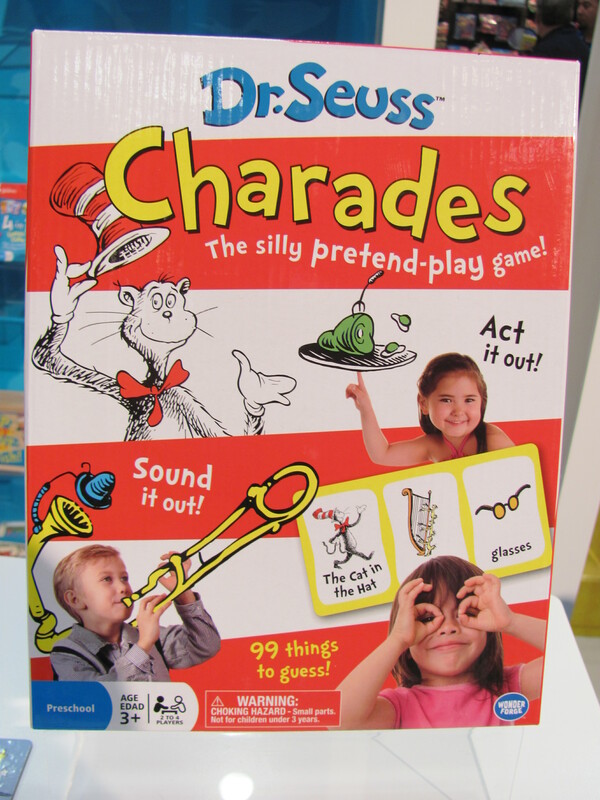 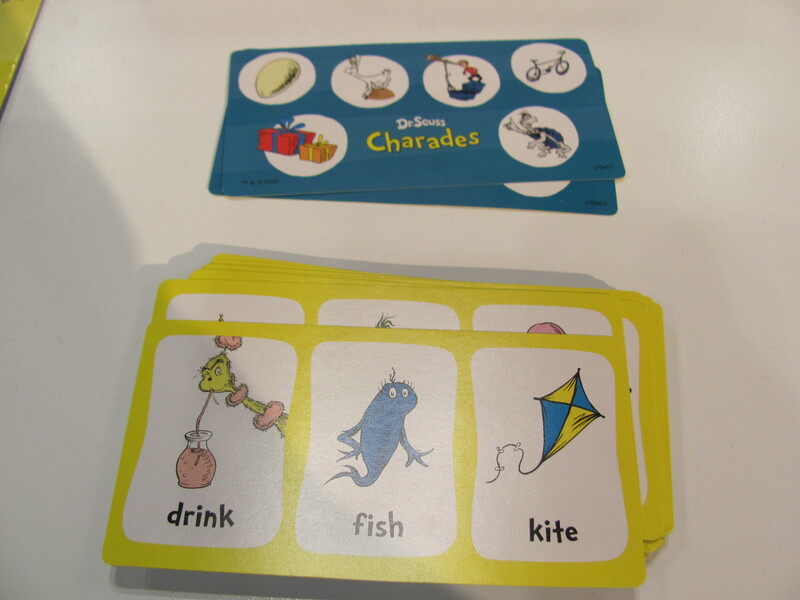 Dr. Suess Charades ($14, July) takes the well-known game and makes it manageable for 3 year-olds. 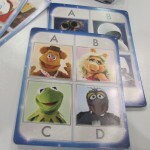 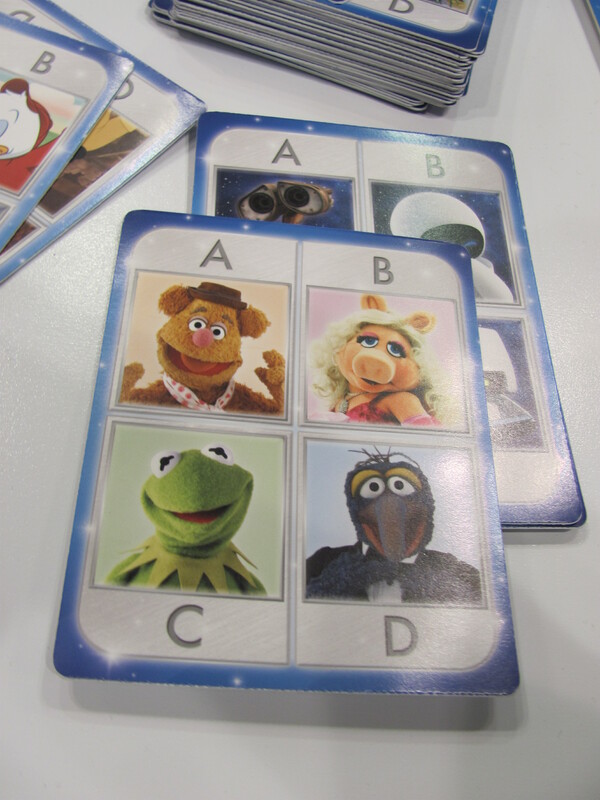 On one side of each display card are three choices for the one player to act out, and on the other side are six choices from which the other players can guess. 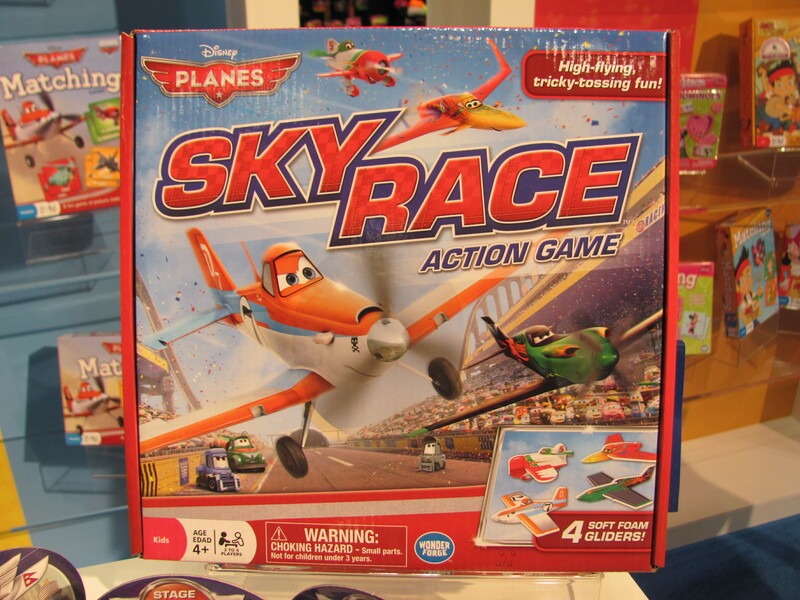 Meant to be played around the house, the Disney Sky Race Action Game ($24) mimics the air race of Disney’s Planes. 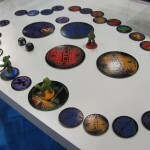 Display signs representing waypoints in various countries are placed in different rooms. 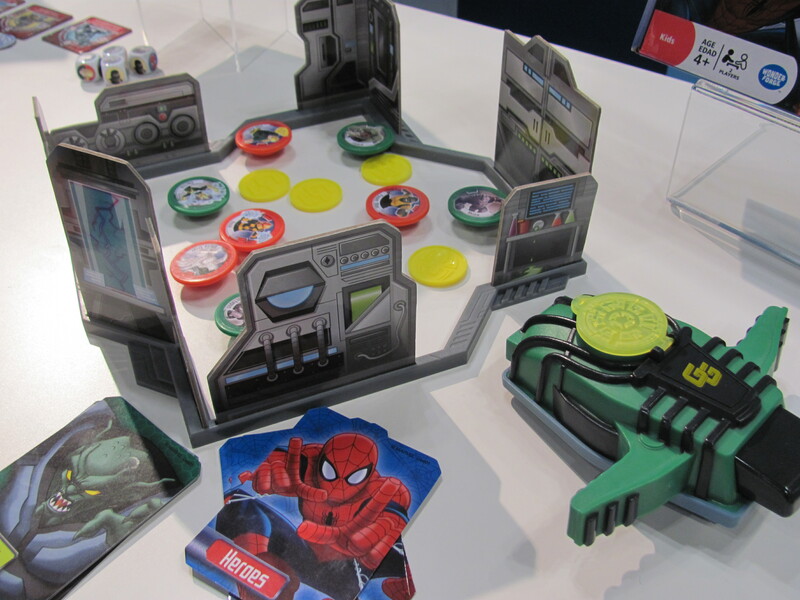 Then the players toss foam airplanes around the established circuit. 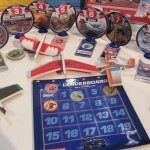 During the course of the race, flight control cards set special conditions. 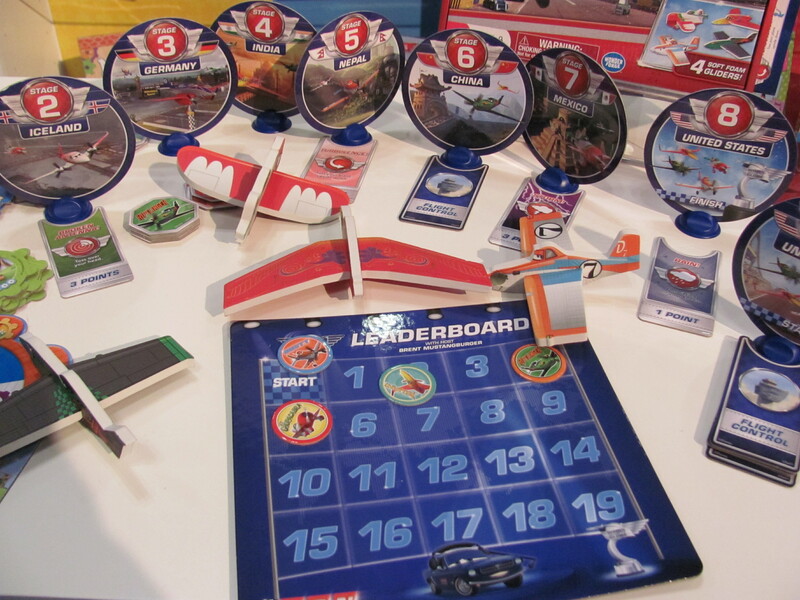 For example, a wind card requires players to toss their planes with opposite hand. 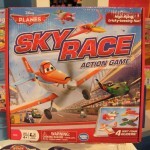 A turbulence card means the players have to toss their planes upside-down. 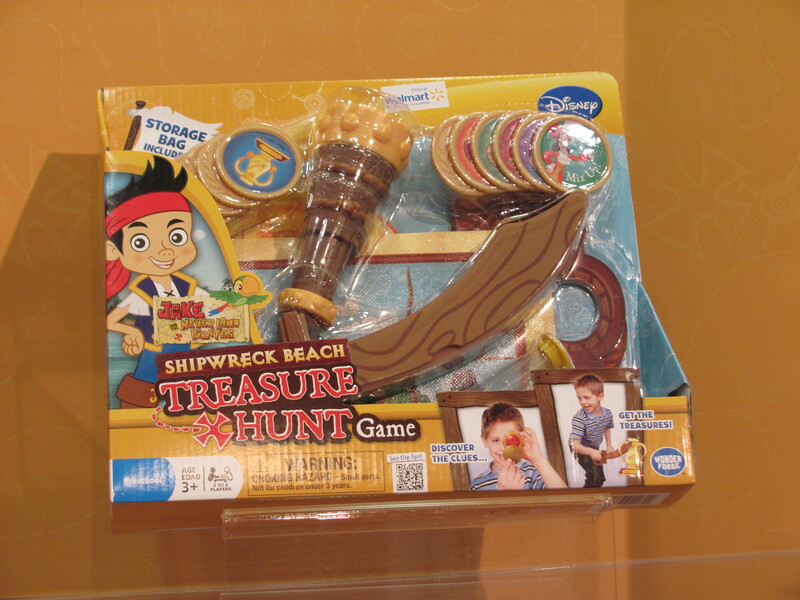 Jake and the Neverland Pirates Shipwreck Beach Treasure Hunt Game ($24, April) combines matching and action elements and includes components that will probably see just as much use as role-play toys. 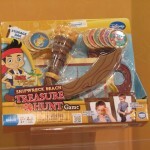 Looking through the included spyglass, children decode secret clues then run to grab matching treasures using a foam sword. 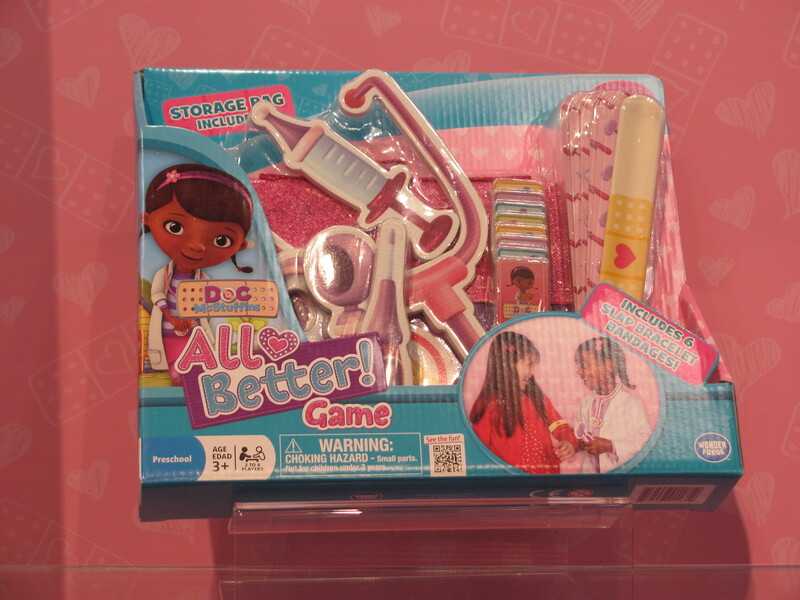 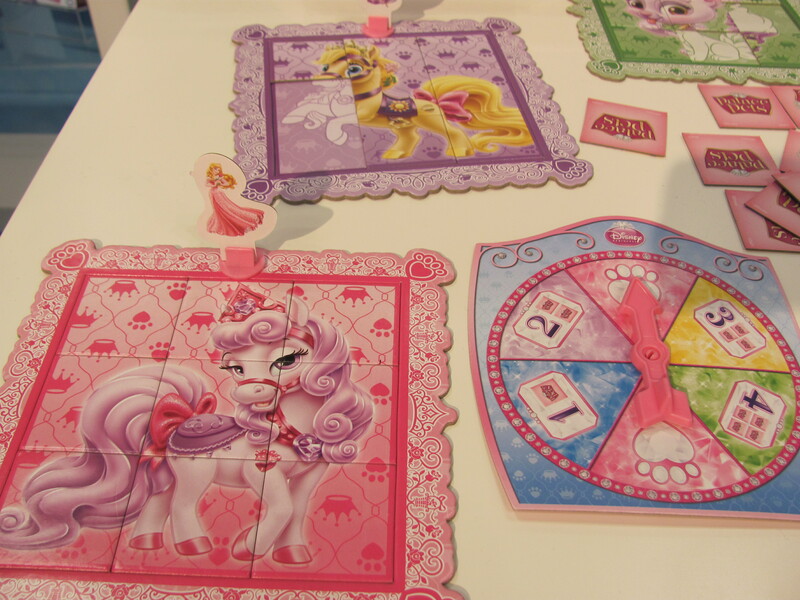 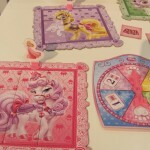 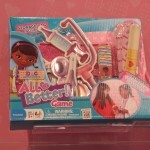 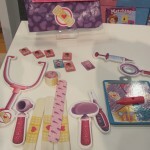 Another matching game with lots of role-play opportunities is the Doc McStuffins All Better Game ($24, April). 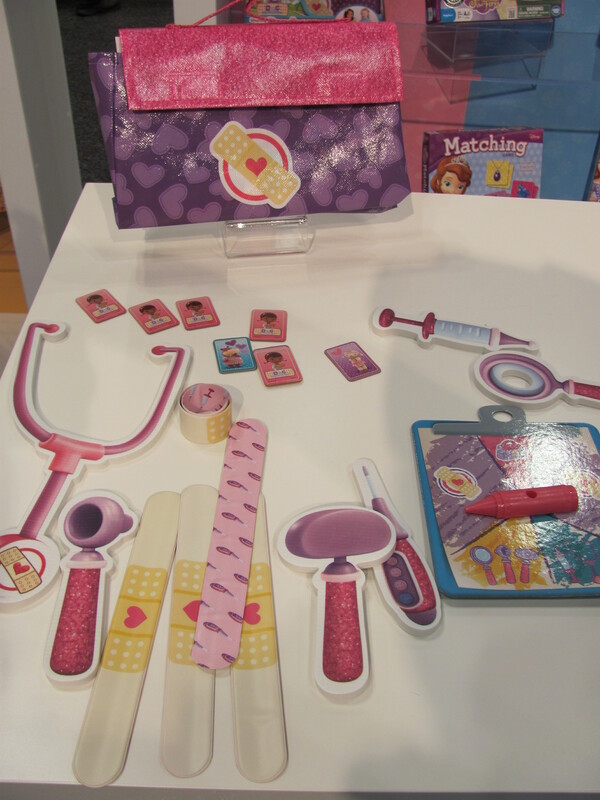 It comes with a medical kit bag, spinner, cardboard medical instruments, and slap bracelet bandages. 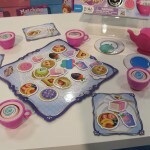 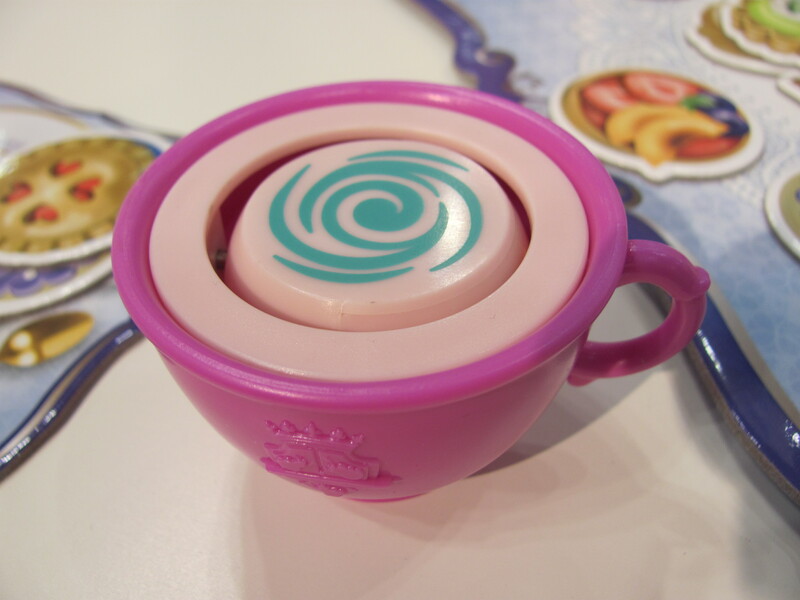 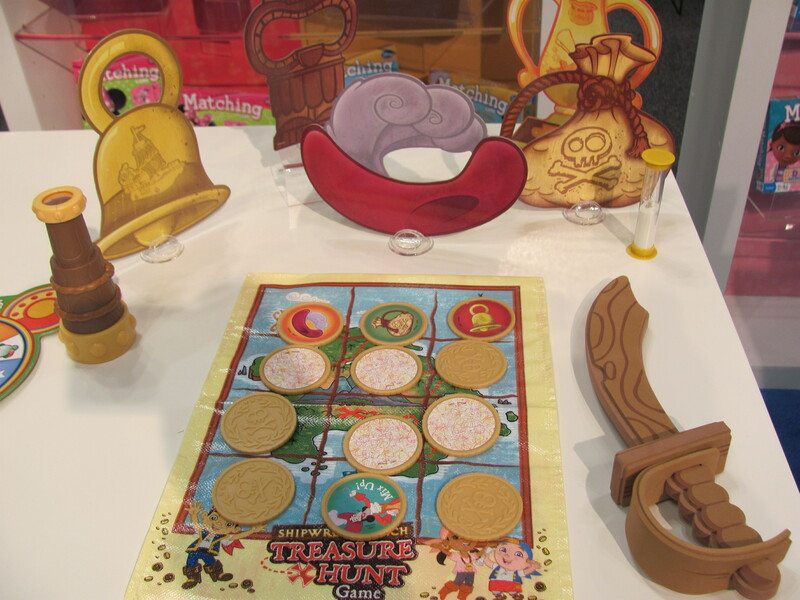 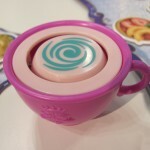 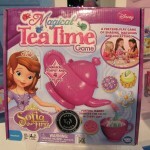 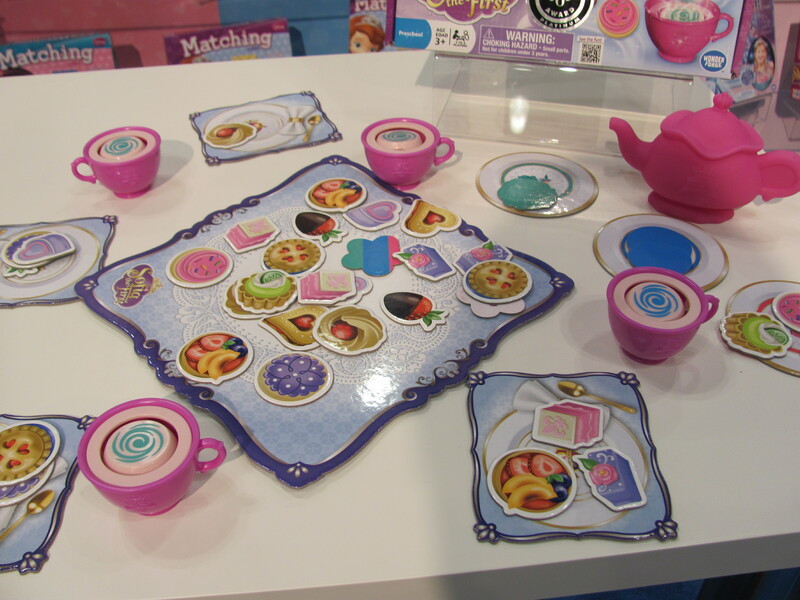 Included in the Sofia the First Magical Tea Time Game ($25) are tea cup devices, which a player blows on (as if to cool the tea), spinning a piece that determines the color of treat that player is supposed to collect. 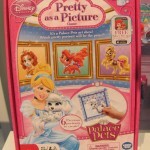 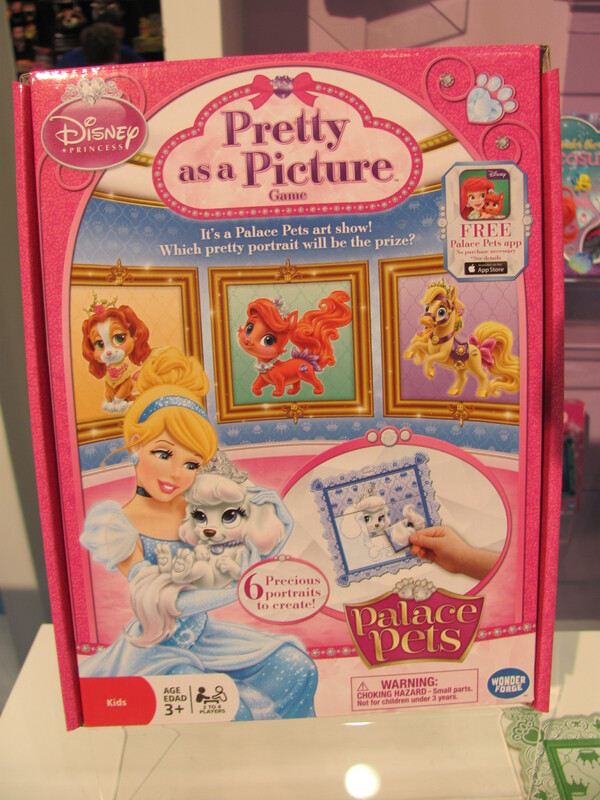 In the Disney Princess Palace Pets Pretty as a Picture Game ($13, fall), players try to complete basic puzzles of the princesses’ pets. 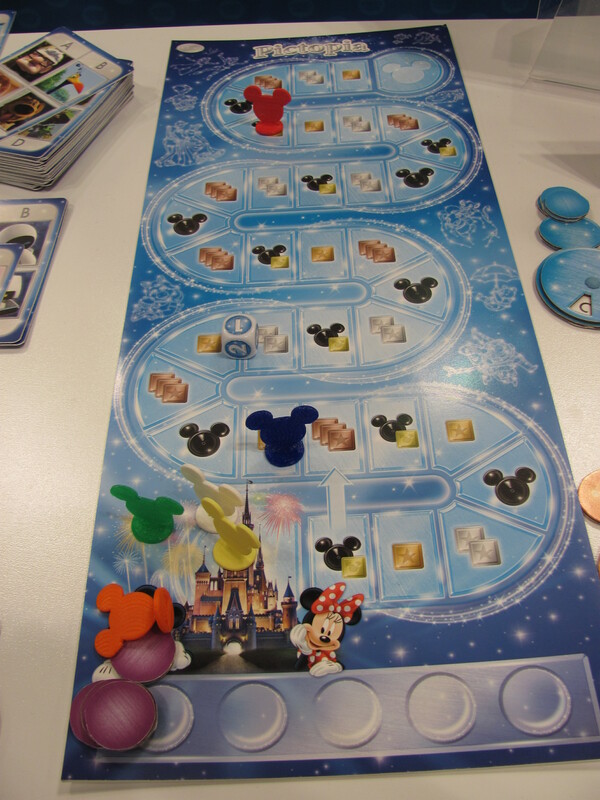 Certain space on the spinner, though, allow them to switch puzzles with other players. 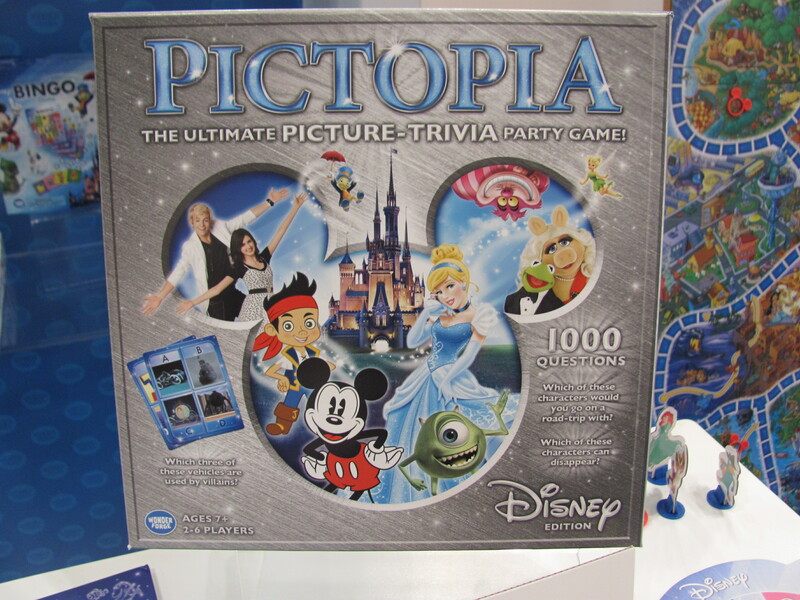 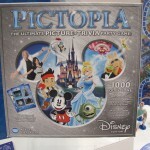 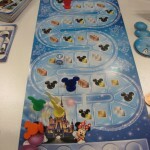 Pictopia ($24, fall) is a Disney roll-and-move trivia game that covers the whole range of Disney properties, including classic cartoons, modern animation, and even teen pop music. 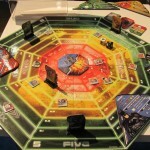 The game also incorporates a wagering element. 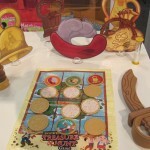 Players can bet on the answers in order to move their tokens forward. 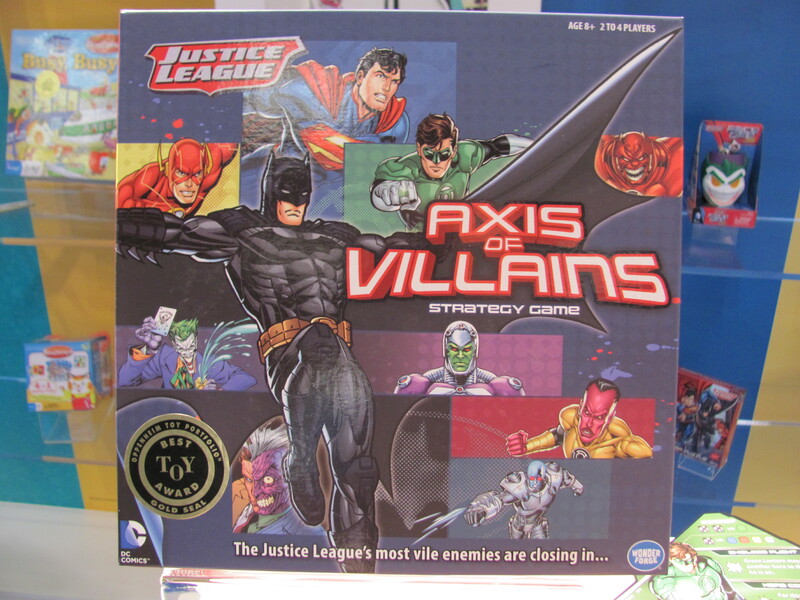 The Justice League Axis of Villains Strategy Game ($24, May) challenges players to defeat a range of villains before they blow up space mission control. 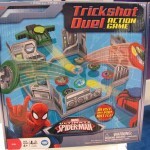 This one is very card and dice driven. 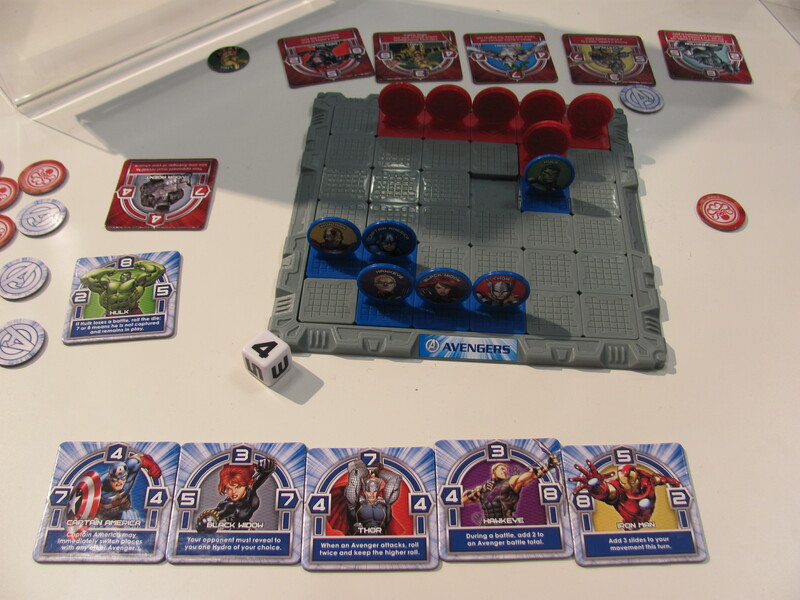 A six-sided die determines what type of card a player gets, while an eight-sided die is used for movement. 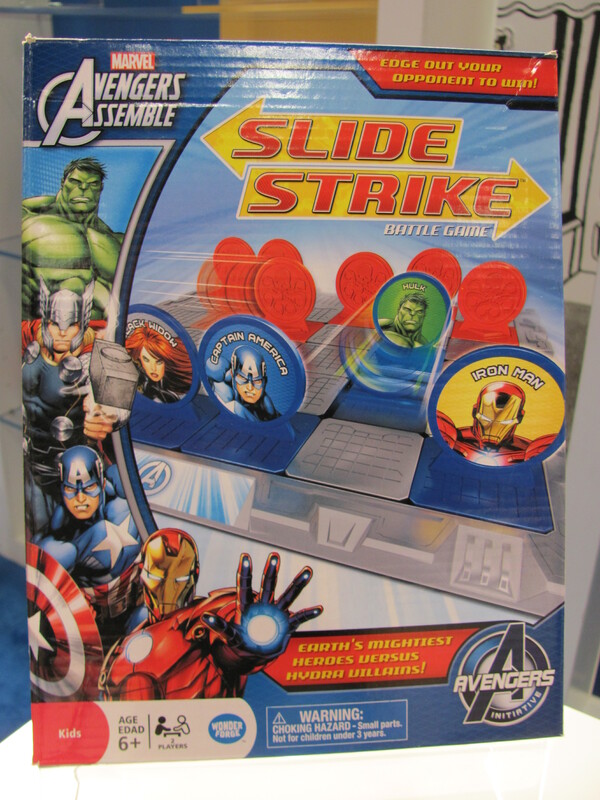 Marvel Avengers Slide Strike Battle Game ($13, fall) combines a Stratego-like game of hidden pieces with a sliding-block puzzle. 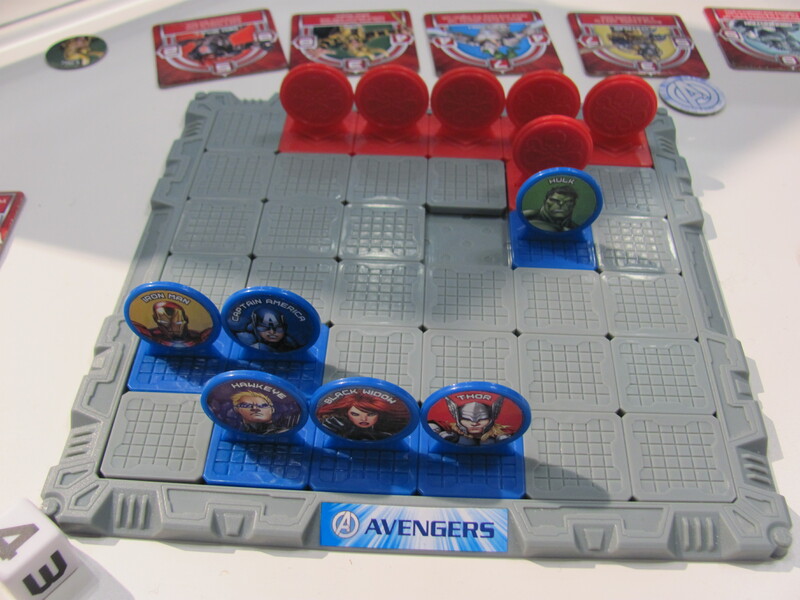 Each piece, Marvel superheroes on one side and villains on the other, have different strength ratings for their front, left, and right edges. 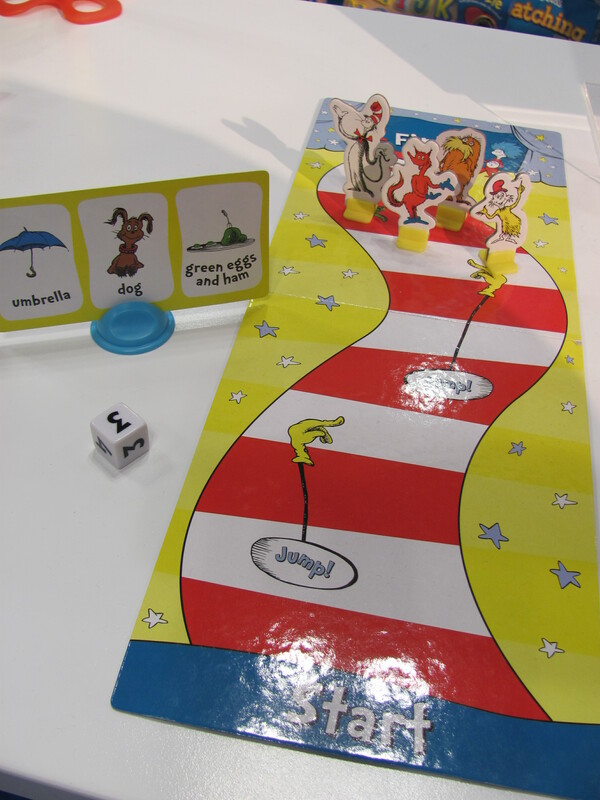 A die roll indicates how many slides a player may make to move pieces around the board. 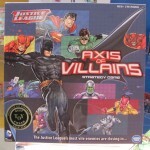 When a hero and villain come in contact, the winner of the battle is based on the strengths of those characters on the edges that touch. 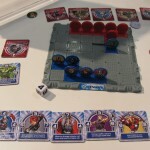 To show that the losing character is out of the game, its disc is removed from the sliding block. 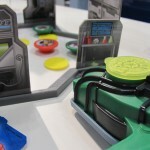 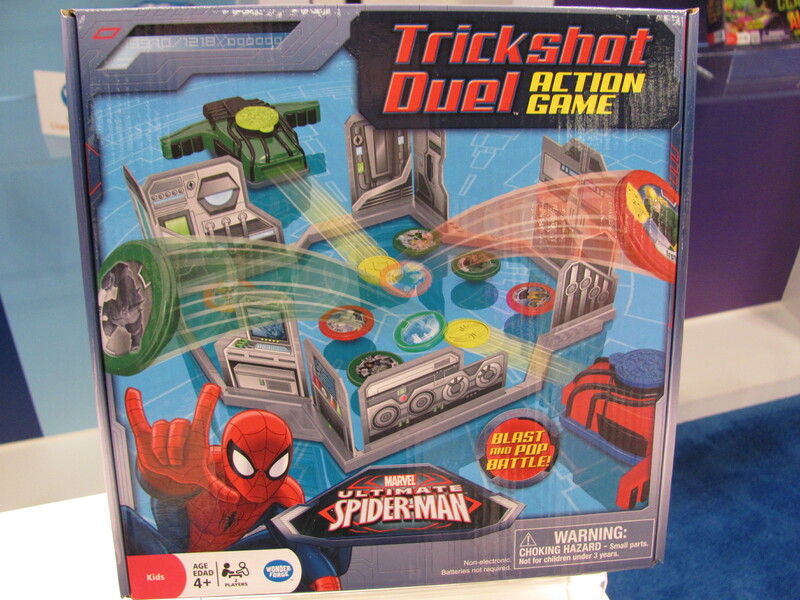 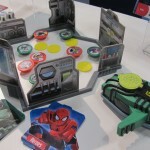 In the Marvel Ultimate Spider-Man Trickshot Duel Action Game ($23, fall) players are supposed to take turns using these doohickeys to shoot plastic discs and try to knock top-like pieces from the opponents team out of a building-like pen. 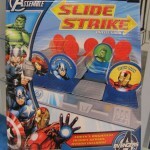 Supposed to take turns, I said. 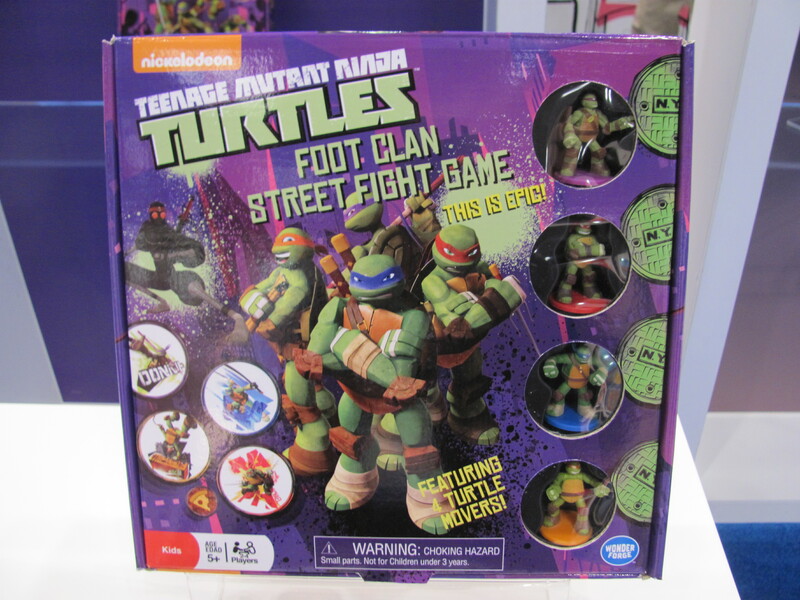 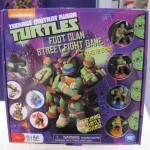 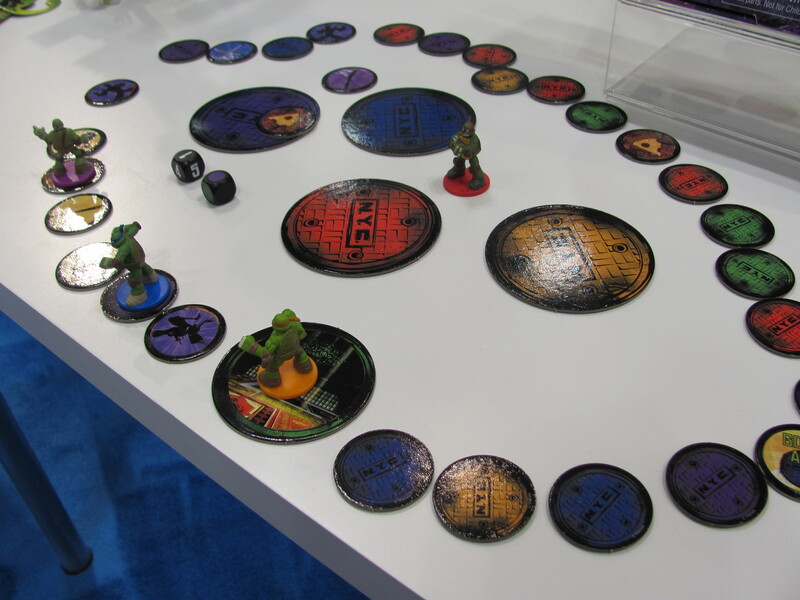 The Teenage Mutant Ninja Turtles Foot Clan Street Fight Game ($23, spring) has neat painted mini figures for each of the turtles and a board that varies with each game (the spaces are separate cardboard discs). 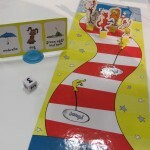 In terms of play, though, it combines roll-and-move and matching. 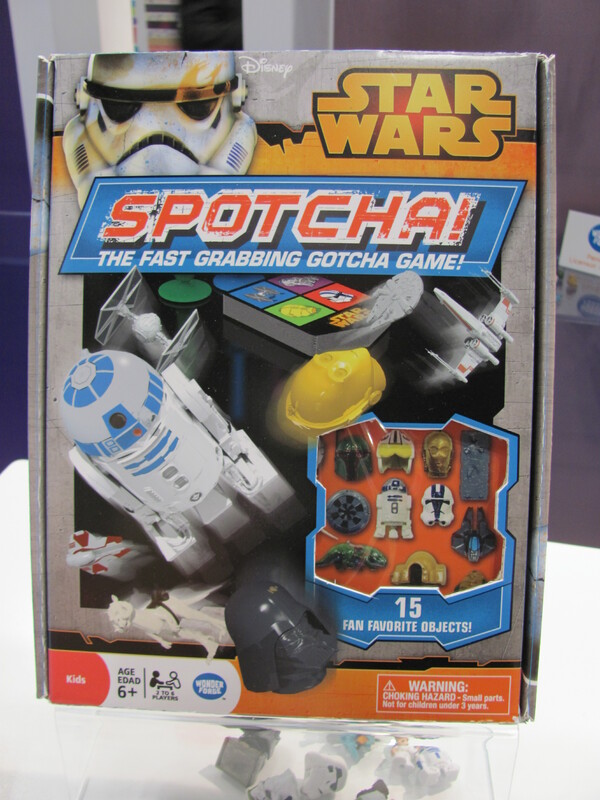 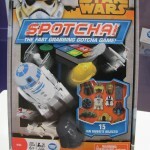 Star Wars Spotcha! 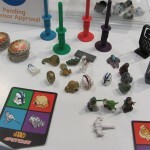 ($20, fall) is a grabbing game with small plastic pieces derived from the Star Wars universe: a speeder, C3PO’s head, Jabba the Hutt, and others. 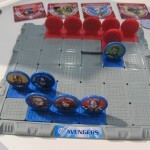 Someone drops all the pieces on the table and then the players rush to grab the ones that are lying in positions matching the players’ cards. 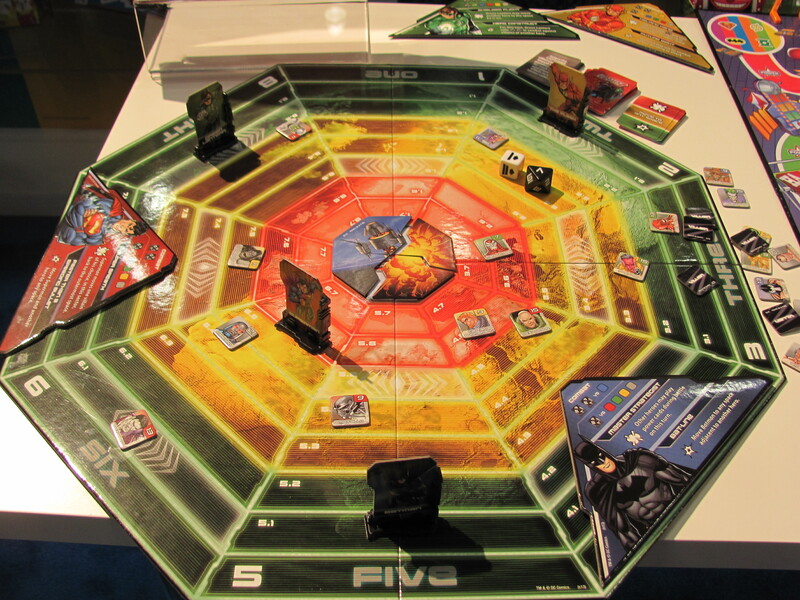 The Star Wars Rebel Missions Adventure Game is a cooperative, real-time, code-breaking game with an electronic device that acts as a timer and plays a soundtrack. 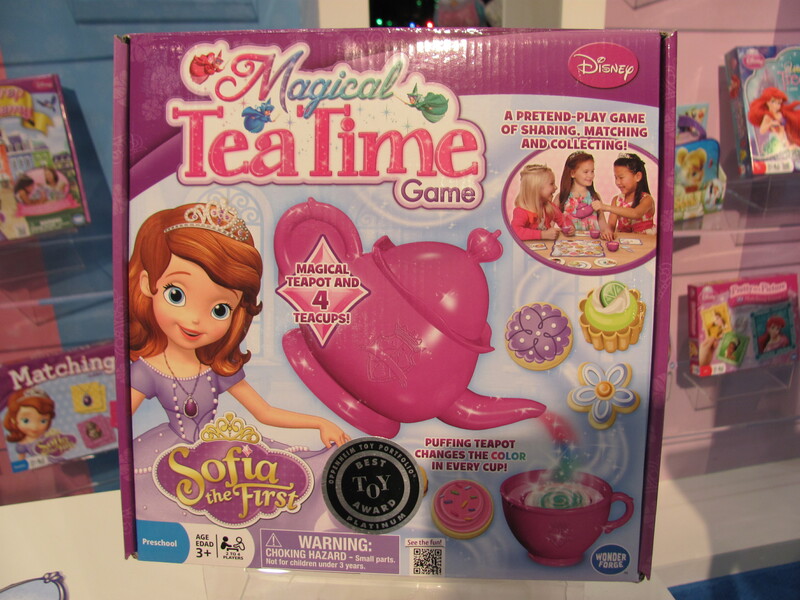 The goal is to match the code and enter it on the device before time runs out. 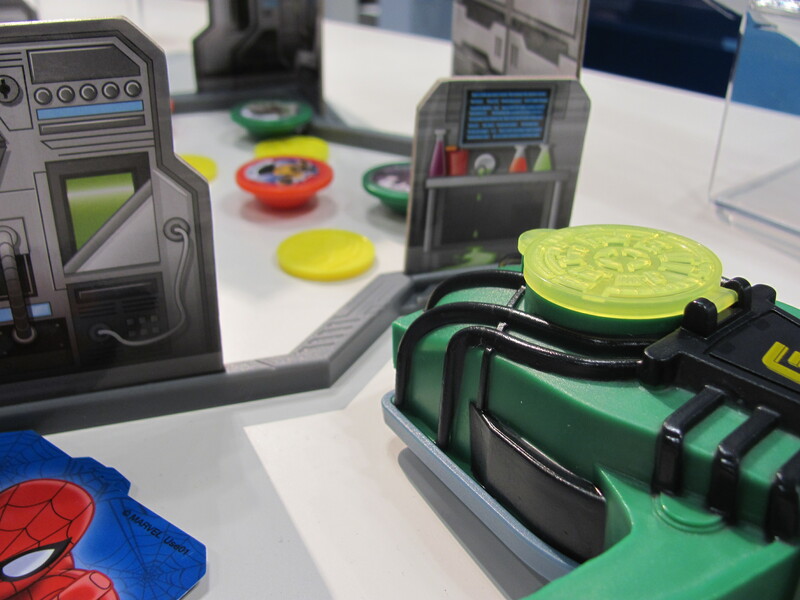 To collect pieces of the code, players visit Imperial installations on sabotage missions, using dice to collect the tools that will give them elements of the code.